I am a full-time writer based in Tiburon, California. 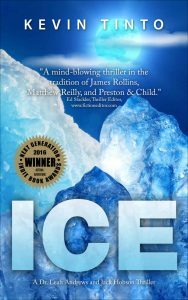 ICE, the first novel in the Ice Trilogy sold more than 350,000 copies. ICE GENESIS, second in the series, has sold more than 20,000 since its launch in 2018! ICE REVELATION, the final in the Trilogy is on the home stretch! Publish date March 15th, 2019!